Wuzhen [China], Feb 27 (ANI): China on Wednesday endorsed India's position on terrorism, adding that terrorist groups cannot be supported and used in political and geopolitical goals. 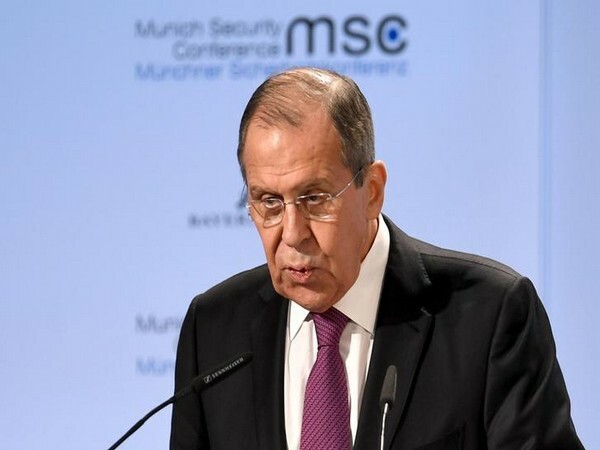 Moscow [Russia], Feb 25 (ANI): Russian Foreign Minister Sergey Lavrov, on Monday, advocated that the key takeaways of the six-party talks on the Korean Peninsula nuclear issue should be considered during the upcoming North Korea and the United States summit in Hanoi, Vietnam. New Delhi [India], Feb 23 (ANI): External Affairs Minister (EAM) Sushma Swaraj will visit China on February 26 to 27 to attend Russia-India-China (RIC) meet. Moscow [Russia], Jan 17 (ANI): Russia, on Wednesday, lashed out at the United States for threatening to pull out from the Intermediate-Range Nuclear Forces (INF) Treaty, and showed its inclination to "keep working in order to save the INF Treaty". Petropavlovsk-Kamchatsky [Russia], Dec 4 (ANI/Sputnik): Russia, India and China (RIC) share common views on key world issues, which makes the three countries allies in solving them, Russian Foreign Minister Sergey Lavrov said here on Sunday. Washington DC [United States], Jul 13 (ANI): US Secretary of State Mike Pompeo will accompany President Donald Trump to Helsinki, Finland for the much-anticipated meeting with Russian President Vladimir Putin on July 16. Moscow [Russia], May 20 (ANI): Russian Foreign Minister Sergey Lavrov has cancelled his visits to Argentina and Cuba because of engagements linked to the recently formed Russian government. Moscow [Russia], April 13 (ANI): Russia has claimed that it has "irrefutable" data that an apparent chemical attack in the Syrian town of Douma in eastern Ghouta was staged by special services of a foreign country. Moscow [Russia], Mar. 13 (ANI): The United Kingdom Ambassador to Russia, Laurie Bristow, has been summoned to the Russian Foreign Ministry on Tuesday, over the nerve agent attack on a former Russian spy, Sergei Skripal, in the UK last week, the ministry told TASS.